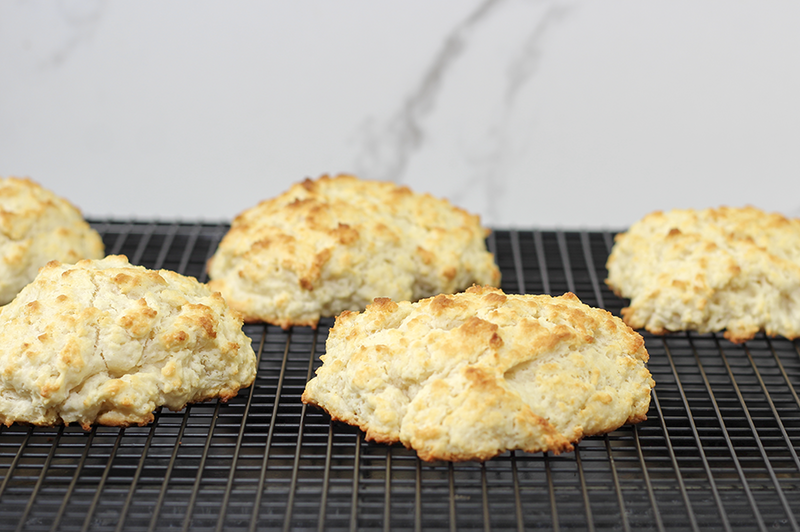 A shortcake is really just sweet biscuit dough. Add oranges, berries and lots of whip cream and voila, you have a classic delicious dessert. This is a favorite in my household, especially when fresh fruits are in season. As for the shortcake, I make it a little sweater than most shortcake recipes because I also love to eat the shortcake as is. Make your own whip cream using the recipe below or if in a pinch, buy ready-made whip cream. So let's get started on the recipes which consist of making the shortcakes, making the orange and berries sauce and the whip cream. Serves 4-6 (depending upon how large you want your shortcakes. 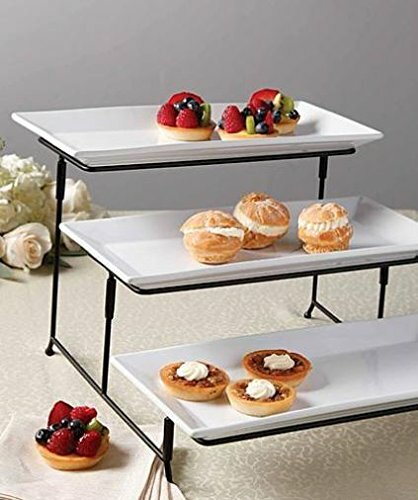 Spray a cookie sheet with a non-stick bakery spray or cover the bottom with parchment or wax paper. 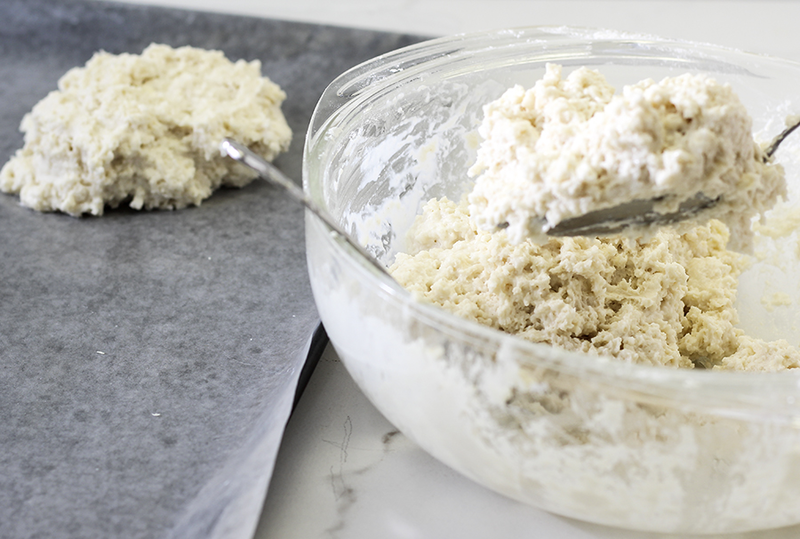 Using a spatula or a dough mixer, cut the butter pieces into the mix until it reaches a grainy consistency. Create a well in the center and pour in the half and half milk. Lightly stir the milk into the mixture. You should end with a wet dough. Using a very large serving spoon, scoop a heap of the dough and drop it onto the cookie sheet. If necessary, gently form the sides to make them a bit more round. Dab a little melted butter on the tops. Bake for 12 minutes. Test for doneness with a tooth pick. (If you want the top to be a little more brown, zap it under the broiler for about 30 seconds.) The inside of the short cake will be soft and moist with outside a bit crunchy. Add sugar, orange juice and lemon juice to a large heavy skillet over medium high heat. Continuously stir ingredients for about 10 minutes or until it caramelizes. Be careful at this step. Once sugar starts to melt, it is very hot and can burn quickly. Remove from heat, add the brandy and fold in the fruits. How to make your own whipped cream! It's easy! Place a metal bowl and wire whisk in the refrigerator for about 15-20 minutes. Add powder sugar, vanilla and whipping cream to the chilled metal bowl. Using an electric blender with the chilled wire whisk on a medium high speed, whisk ingredients until whipping cream becomes stiff enough to form peaks, approximately 4 minutes. Be careful not to over whisk. The whipping cream may loose its nice smooth look and look a bit lumpy. If you're not using it right away, store in a tight container in the refrigerator. It will keep for one day. Should you decide to use it at a later time, liquid may have separated. Not to worry. Just lightly whisk it again. Yields 2 cups. 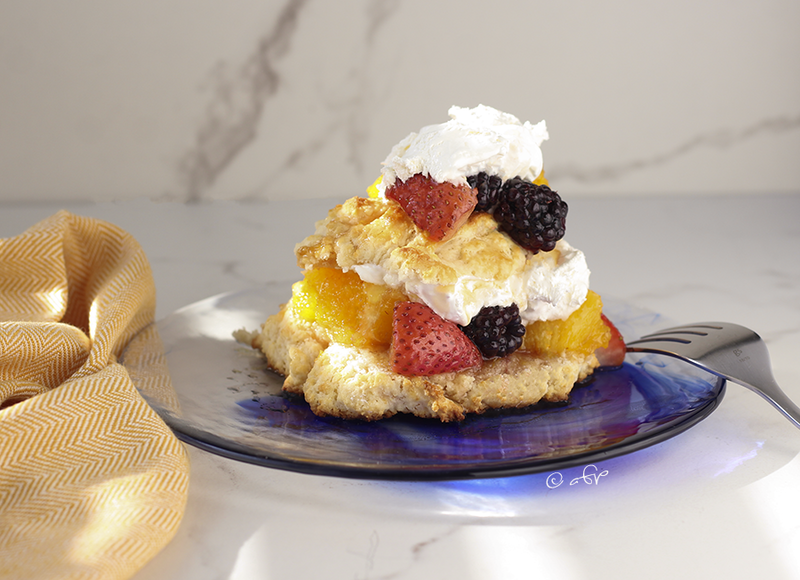 How build the shortcake with oranges, berries and whip cream. The first is described in this recipe which is to fold the fruits into the caramelized orange sauce. 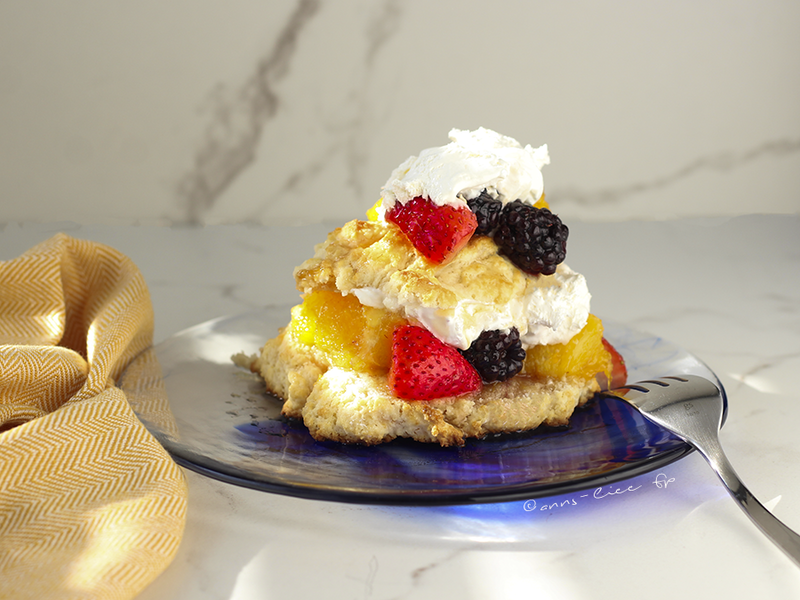 The second option is to just layer the shortcake with the fresh fruits, pour the sauce on top and then add the whip cream. Whichever method you choose, cut the shortcake in half, lengthwise. Set the top half aside. Add a layer of fresh fruits and juices, add whip cream. place the top half on the whip cream. Add another layer of fruits and juices and top with whip cream. 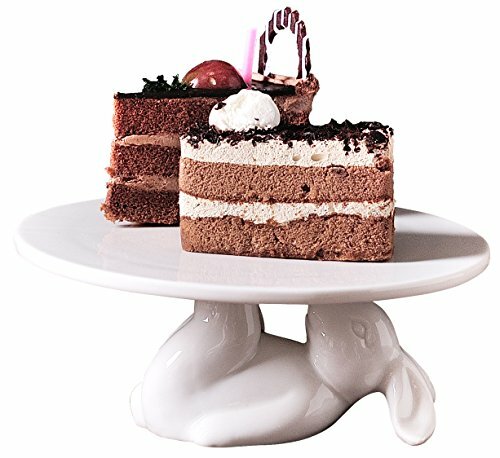 I would love to hear from you should you try the dessert. Of course, go ahead and share with other readers and me how you make your shortcake dessert.